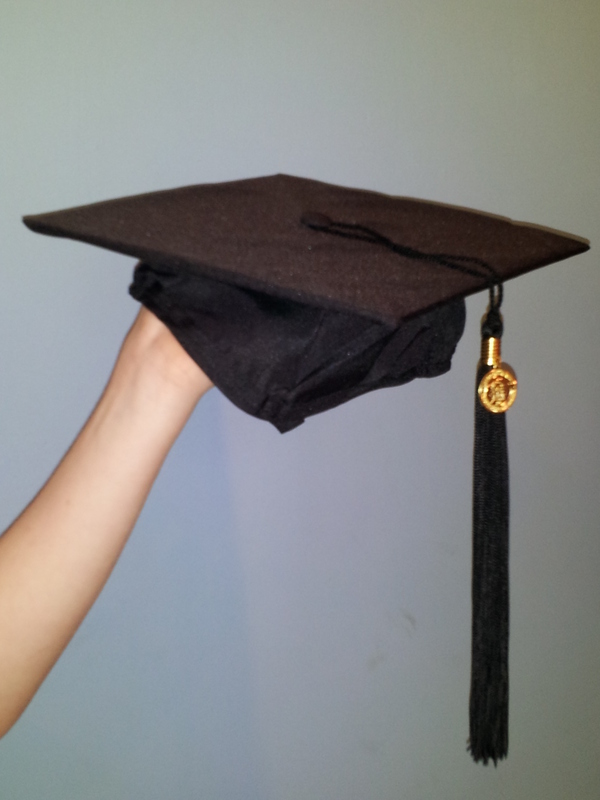 So You’re Graduating, Now What? I’ve been asked this a few times now. It’s a valid question, yet I’ve felt defensive trying to come up with a good answer. I think the problem stems from the fact that I’m not a typical graduate. I didn’t return to school eighteen years after earning my bachelor’s degree so that I could get another piece of paper that would lead to a job. Sure, I’d like to make money just as much as the next person, but a paycheck wasn’t the primary motivation for my enrolling in graduate school. The first time around, I sort of drifted into college from high school because I was an honor student, and that’s what smart kids were supposed to do. I was interested in computers and I did well in math, so I majored in computer science. It didn’t take long for me to realize that I wasn’t into my classes the way some of the other students were. By the time I did my internship, I knew I’d chosen the wrong major, however I decided to stick it out so as not to waste the time or money I’d already put into getting a degree. I graduated at the top of my class, then settled into an IT job for nine years, suffering a near breakdown before I finally called it quits when my son was born. Looking back at the disaster that was my twenties, I’ve realized I had no idea who I was or what I wanted. I had spent too many years worrying about fitting in, trying to please others as if my survival depended on it. In my mind, it did, because I had been rejected once by my birth mother and likely rejected again by whomever took care of me during the three months before I was adopted, and I wasn’t going to let anyone reject me again if I could help it. These weren’t conscious thoughts, mind you. These were feelings deeply embedded in my psyche. I never thought I’d go back to school. I was absolutely thrilled to be done with it all when I graduated the first time. When I determined that I really wanted to write as a vocation, I did enough research to know that I didn’t need a degree to do it. What I did need, though, was validation that I was, indeed, on the right track. After nearly destroying my own life via poor decisions in my early adulthood, I didn’t want to waste even more time heading down another wrong path. This time around, I very quickly realized I was doing exactly the right thing. I loved my creative writing classes and, maybe even more importantly, I “got” them in a way I never got those Comp Sci courses two decades earlier. I was exactly where I needed to be. And, I met other creative, ambitious people just like me, which is something I know I would have struggled doing on my own outside of a formal program because of the lack of self-confidence I initially felt. I am ecstatic that I’m about to receive a Master of Arts; that word, “arts,” is so very meaningful to me, validation that I’ve finally gotten myself on the track I was meant to follow. I know whatever comes next will be the right thing, so long as I continue to be true to myself. This is the category formerly known as Book a Week. While I still aim to read one book each week, I’m unable to keep up with writing about every one. In keeping with my modus operandi, I’ll post about books when I get the urge and not a moment sooner. 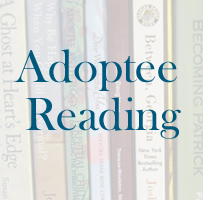 Over the summer I read three books by Jennifer Lauck that each deal in some way with adoption: Blackbird: A Childhood Lost and Found, Still Waters, and Found: A Memoir. I became aware of Lauck’s writing when I joined a group for adoption writers that she moderates on She Writes. What a wonderful discovery! 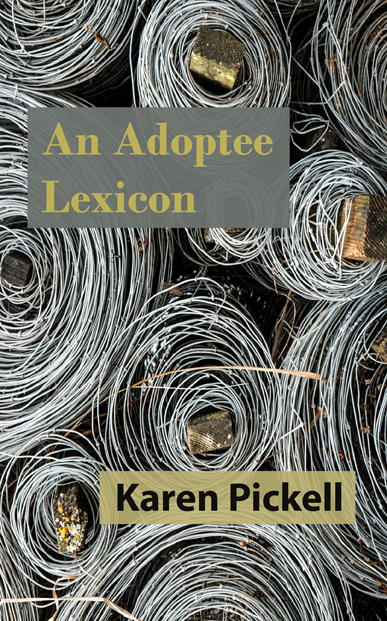 As I’ve mentioned before, reading adoption literature is an educational component of writing my own thesis collection of adoption-related poems and short stories. This book is amazing, not only for its content but for the way it’s written. I was fascinated by Lauck’s voice and style all the way through. Blackbird is written from Lauck’s perspective as a child growing up in shockingly abnormal circumstances. This is a story that’s so far outside the normal family paradigm, I held my breath while reading, hoping she would make it to adulthood even though I already knew she had. Deep into the story, we learn along with Jennifer, the little girl, that her parents and brother are not her own, that she is adopted. In a manner that feels true to life, the child narrator does not dwell too long on this revelation, though we see clearly how it affects the remainder of her childhood, both internally, in the way she perceives herself, and externally, in the way she is treated by family members. Lauck is masterful at telling her story from the perspective of the child who lived it. Even though she was looking back through the eyes of her adult self and her memories were necessarily influenced by her adult knowledge and emotional development, I was very impressed by how she held on to the child narrator’s perspective all the way through the book. She uses plain, simple, straight forward wording, and her tone is immediate. The text grabbed me and never let go. Certain phrases and descriptions are repeated throughout the text to remind the reader of how things had been vs. how they are now. For instance, she slowly reveals the entire Snow White story (Grimms’ version) during the course of her narrative as a metaphor for her own life–a twisted fairy-tale foretelling. I don’t want to go into too many details about events described in the book (better to read Lauck’s own words), but I will say that she revealed just enough that I knew exactly what was happening and could feel her anguish, but not so much that I ever felt she went overboard. She did a great job of pulling back just as I was about to become overwhelmed. This woman has mad skills. After I read Still Waters, I noticed that Lauck has reviewed her own books on Goodreads. I’m not sure I agree with that, but what she says about this book is certainly interesting. She claims that she was rushed to write it by her publisher, who wanted a sequel to Blackbird, and that the publisher wanted a perfect-family ending that wasn’t reflective of the real state of her marriage at the time. In other words, this wasn’t the sequel she really wanted to write. I was a little disappointed in finding her disclaimer, because after being so impressed with Blackbird, I wanted to be able to trust this author. On the other hand, her explanation did jibe with my own feeling about Still Waters. Of course, we can never be sure how true to life each and every detail of a memoir is, so we have to take what’s given at face value. What I noticed is that Still Waters is not as tightly constructed as Blackbird. I found it mildly disappointing that everything gets wrapped up so neatly in the end. A large portion of this book deals with the death of Lauck’s brother, and even that section seems too pat, too clean, though her writing is still very good at the sentence and paragraph level. For me, this book lacked the emotional intensity of Blackbird, though it was satisfying that it begins at the exact moment Blackbird ends. I was anxious to find out what happened to the not-quite-grown Jennifer from Blackbird, so in that sense, Still Waters did its job. I think Lauck’s search for answers about her brother is the heart and soul of this book, though. Lauck describes this book as the real sequel to Blackbird, though I’m not sure I agree. The title is apropos since this is both the story of Lauck’s reunion with her birth family and the story of Lauck’s coming to terms with her true self. But this is the story of a very adult Jennifer. Without Still Waters, I suspect there would have been too great a gap between the young girl perspective at the end of Blackbird and the all-grown-up perspective of Found for this reader to jump without assistance. I do appreciate that Lauck gives us a note before the book begins to explain this shift in perspective from the child to the adult. I also appreciate that Lauck incorporates a ton of information on adoptees throughout this book, though sometimes I felt she should have been clearer about her sources. She metions that she’s done a lot of reading on adoption and that she’s been in therapy with Nancy Verrier, yet I still had the uncomfortable feeling at times that she might be stating as fact theories that are still under investigation. For this adoptee, Found was so fascinating I read it in one sitting. 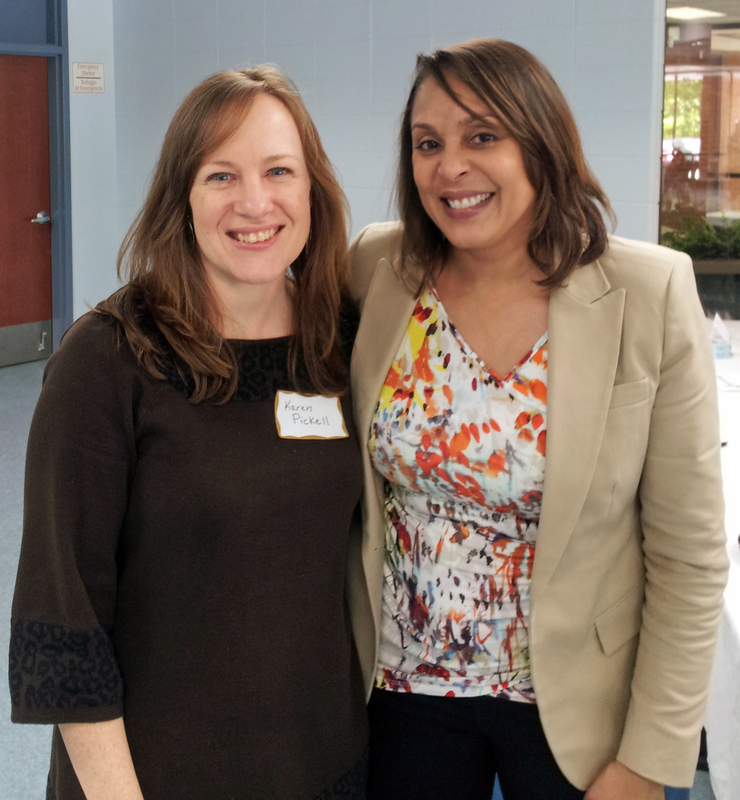 I still love Lauck’s writing style, and I was anxious to learn from her reunion experience. I have to say though that I was a little dissatisfied with the book overall. A great number of pages are devoted to summarizing events that were described in detail in Blackbird and Still Waters, which created drag for this reader. Also, I had the feeling Lauck might be holding back about her own thoughts and emotions regarding her reunion, possibly because it was still in its early stages, which is understandable. I wonder if she should have let it all settle in a while longer before writing about it. (This is a question I’ve asked myself.) But, she can always write another book down the road about the long term ramifications of reunion, which I’d buy without hesitation. I’m very happy to have found Jennifer Lauck’s work and I’m looking forward to reading more from her. I’m even considering taking one of her memoir writing courses when I get the time.